With CAT all done and dusted, it’s time to enter the toughest phase of the entire process – preparing for the interviews. There is always that element of gnawing tension at the back of every aspirant’s mind – scores and percentiles; interviews and WATs – deciding factors in the proverbial rat race. The going will tend to get difficult sometimes, exasperating and exhausting even, you might feel like giving up – but do remember at the end of the tunnel awaits the sweet scent of victory. In order to help you tidy over the tumultuous task that you have in hand – we bring you ten facts about the institute that underlines why IIMU is the place to be in. 1. One of the fundamental pillars of IIM Udaipur is academic excellence. The faculty at IIM Udaipur believes that for a student to aspire excellence in the corporate world, he/she needs to attain conceptual clarity in every subject that is taught. Thus, there is a high level of stress lain on academics. The crème de la crème of the country’s academia, which including notable institutions all over the world, are regular members of the faculty,[SB1] which helps significantly in shaping a student’s approach towards real life business situations. Apart from the 45+ visiting faculties, IIMU currently has 31 full-time faculty members all of whom have earned PhDs or are Fellows at top schools in India, Europe and North America. 2. Having recently shifted to our new campus, spread over a sprawling 300 acres of lush greenery, the management has put in all efforts to ensure that the students are given access to world class facilities, which include air-conditioned rooms, laundry and sports facilities. 3. In order to reiterate the institute’s focus on academic excellence, the students are also given access to some of the world’s most sought after databases, periodicals and publications. They have free access to 12 Bloomberg terminals in the institute, along with other databases like AceEquity, Capitaline, CMIE Prowess, CRISIL, and Thomson Reuters Eikon. 4. In line with our Director, Prof. Janat Shah’s vision of making it to the top 100 business schools of the world in the next 3 decades, IIM Udaipur believes in giving extensive global exposure to its students. This is the reason why the International business in Practice (IBP) program has been introduced as an elective[SB2] for the 2nd year postgraduate students, wherein more than 50% of the total batch travel abroad to work with companies based out of 3 countries, including Malaysia, Thailand, and the UAE, and gain first-hand experience of working on internationally based projects. 6. 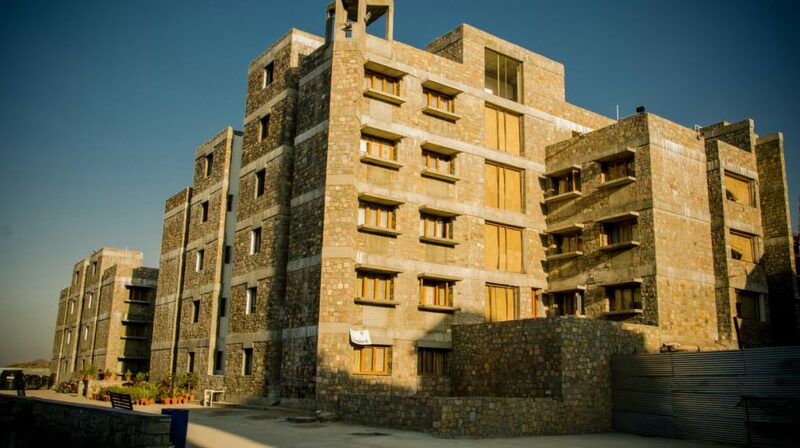 Other than a global immersion program, IIM Udaipur also believes in contributing their part to the society. With this mind, the Rural Immersion Programme has been initiated by the institute, As a part of this programme, the students visit various rural regions of Rajasthan, and stay there for a week, all the while gaining an insight into the challenges being faced by the residents, and then collaborate with NGOs to present their recommendations on what can be done to improve the lifestyle and standard of living in these areas. The study not only gives the student a first-hand experience of the challenges being faced by the economically disadvantaged populace in the country, but also gives them an opportunity to tend to these issues and suggest solutions, which, if found to be feasible, are duly implemented by NGOs working in collaboration with the students. 7. IIM Udaipur is one of the few elite B- Schools which have a dedicated mentorship programs for the students who want to pursue entrepreneurship. We have in place a dedicated incubation cell, and the students who want to pursue their entrepreneurial ventures are given an opportunity to opt out of placements and go for a Summer Entrepreneurship program, wherein they are guided by experts and given appropriate funding for their ideas to bear fruit. 9. Apart from the cultural fest, “Audacity”, which boasts of a huge footfall and performances from singing sensations like Euphoria and Shalmali Khobragade the college also organizes a dedicated Management fest, with stalwarts from the industry sharing their insights with the bright young minds. We are also perhaps one of the only B-Schools in the country to have an independent Literature Festival, the Udaipur Leap Day Lit Fest, which has previously been host to notable intellectuals from all over the country. 10. In case you are a movie buff, IIM Udaipur is just the right place for you. The literary society of the institute conducts regular screenings of movies across genres, from classics to thrillers to rom-com – commercial and parallel alike – from all over the globe. In addition, students enjoy the experience of cheering for their favourite teams together during the big-screen, live streaming of notable sport events. The added benefit is the beautiful City of Lakes itself!!! Udaipur is known as the “Venice of the East”, and not without reason. It is one of the country’s most scenic, historically, and naturally rich cities, and offers various avenues for weekend trips. SO one will never run out of ideas as to what to do in the free time one gets.